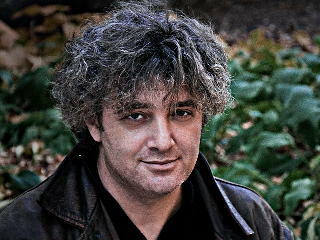 Alex Khaskin was born on March 26, 1960 in St. Petersburg, Russia. He received his undergraduate education at Glinka’s School for The Musically Gifted (piano and conducting), before studying composition and conducting at The St. Petersburg State Conservatory. Alex completed the postgraduate course in composition there in 1984. In addition to receiving a 'Master's with Distinction', he was also the winner of the St. Petersburg Young Composers' Festival composition prize, and graduated with the highest marks in his class. Alex worked as a pianist, orchestrator, and arranger at Russia's Lenconcert state organisation and a music director for stage, television, and recordings -- arranging and conducting for various Russian stars. Alex regularly worked as guest conductor for the Radio and Television Orchestra of St. Petersburg, the Lenfilm Stage Orchestra, and the Orchestra of the St. Petersburg State Conservatory. Inspired to seek a career in film music, he attended master classes by the famous Russian film and classical composer Andrei Petrov. From 1985 until his immigration to Canada in 1993, Alex scored 14 theatrical and television films and documentaries. As well as writing music for film, Alex has been active as a composer of contemporary classical music. Between 1980 and 1993, he composed a symphony, a violin concerto, 2 cello concertos, concertos for piano, a triple concerto for violin, viola and cello, a string quartet, and much other chamber music, as well as choral and vocal works. CBS, CBC, CTV, Nelvana, Lions Gate Films, Artisan, Alliance/Atlantis, CCI Entertainment, Muse Entertainment, CINAR, Dufferin Gate, Decode Entertainment, Regent Entertainment, Legacy Film Works, Barna-Alper Productions and many more.